Having a quality ski jacket that works for various occasions could be every skier's dream. 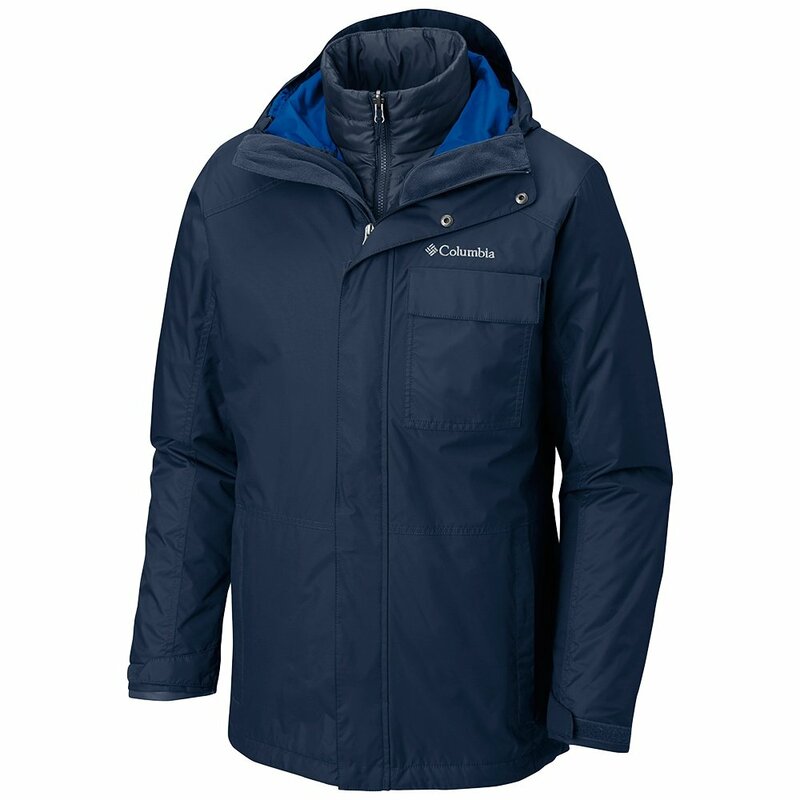 Now with the Columbia Ten Falls Interchangeable 3-in-1 Insulated Ski Jacket, you can make that dream a reality! This performance ski jacket is actually three jackets in one all sized for bigger guys, as it comes with a waterproof outer shell and an inner fleece layer that can be zipped out. That means you get three jackets - the lighter zip-in jacket, the outer piece, and the combination of the two. The outer shell is guaranteed to be waterproof and is made from ripstop fabric, a very durable fabric that’s designed especially to resist abrasion during high-intensity activities. With 100g of insulation to keep you warm and a totally waterproof and breathable finish, you’re sure to find the perfect combination of layers for any weather this winter when you wear the high-tech Ten Falls Interchangeable Jacket.